Guelph, ON – Equine Guelph and the University of Guelph have announced that Gayle Ecker has been named Managing Director of Equine Guelph. 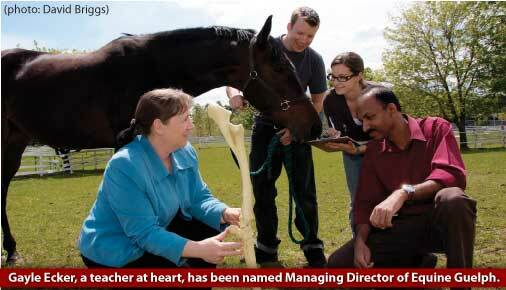 Since its inception in 2003, Ecker has acted as Senior Manager of Equine Guelph. Ecker has combined her teaching background, education in science and love for horses as a foundation for the building blocks of Equine Guelph.